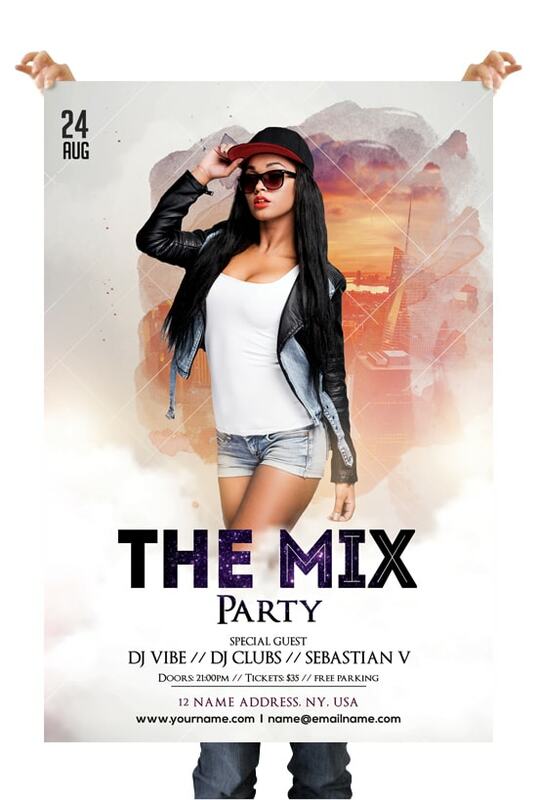 Download The Mix – Free White Party PSD Flyer Template. This White Flyer template is available for free to download. This flyer is suitable for any White Party, DJ Party, Ladies Night, Elegant event & other business purposes. To edit this flyer it is recommend to have software minimum Photoshop CS4 or higher version.